My first attempt was taken during a visit to Hong Kong Disneyland... Hope everyone who see this will like it! hey, we would love to see this picture in our group [link] please join and submit! thanks please think of putting more of your great work in too. 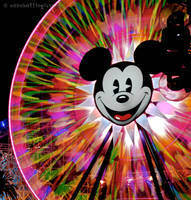 oh how i miss disneyland, great shot! Thanks! Which Disneyland have you been? 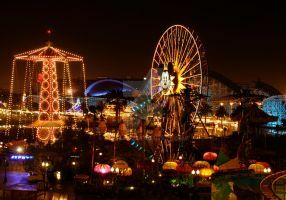 ive been to Aneheim, California Disneyland so many times I can't count :laugh: and I've been to Walt Disney World in Florida once. I mean..their usual midnight firework show is superb,imagine NYE! WOW,that sounds amazing! You're lucky you got to see all that. It's possible just in my dreams, I'm afraid. Oh, it's so wonderful! What a great photo! I like it really much! Thank you for your compliment! & I'm glad you like it too!